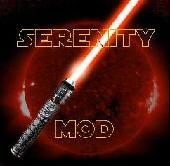 EoC - 14 July 2011 - Jedi academy Mods: By Serenity. It is Now officially Released on our Moddb Page! does anyone have a copy of eoc 1(2009)? "WEBSITE BROKER")[/url] - I hope you can help me to make a good decision! It looks like they offering good free money making sites. Don't you mind share your opinion and experience. If you are in search of a way to build a great make website than you should get [http://classyhost.ebid.net Established Websites For Sale]. Get started now & see for yourself. узнать много интересного и, возможно, нового. Буду рад сделать Ваш праздник радостным, ярким и действительно запоминающимся.